Circle of friends: Cambell's Silicon Valley connections include, clockwise from upper right: Ning's Marc Andreessen, Apple's Steve Jobs, Google's Eric Schmidt, Venture Capitalist Al Gore, Numenta CEO Donna Dubinsky, and YouTube's Steve Chen and Chad Hurley. 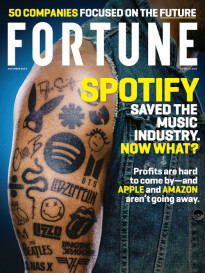 The article below originally appeared in the July 1, 2008 issue of Fortune. At the Old Pro Sports Bar in Palo Alto, happy hour is in full swing. Stanford kids down pints while watching a game on TV; a birthday party is underway next to a wall filled with old Sports Illustrated covers. And in the middle of the room, gathered around a table with a brass plaque inscribed COACH‘S CORNER, is a group of sixtysomething guys clinking beers and eating pizza. Holding forth is a man with twinkling eyes and a full head of gray hair who keeps wrapping his buddies in bear hugs or cussing them out or both. “You’re so f—ing full of s—!” he calls out in a gravelly rasp to one of his pals. Hoisting a Bud Light, unleashing a barrage of bad jokes and fake insults, Bill Campbell could be a saloon owner or a football coach. In fact, Campbell is an investor in the Old Pro and once coached Columbia University’s football team. And his regular Friday brew klatch is a great party, sure—but pick a week, and chances are it’s also one of the most potent concentrations of brainpower on earth. William V. Campbell, it turns out, is consigliere to the likes of Google’s (googl) Eric Schmidt, Apple’s (aapl) Steve Jobs, Kleiner Perkins’s John Doerr, and many other Silicon Valley titans, some of whom are regulars at Coach‘s Corner. “Deeply human” is not a particularly common attribute in Silicon Valley. Much more common: deeply technological, which Campbell certainly isn’t. He hasn’t written a line of code in his life. But he does seem to have a preternatural ability to fire people up about their work. That’s why people flock to Campbell, whom everyone calls Coach, for advice: He deploys a unique blend of tough love, sweat equity, and a thick playbook culled from decades of hands-on experience both in the Valley and on the gridiron. His goal is to create companies that will be around for the ages, organizations in which all are freed to do their best work, and he specializes in the young company that’s struggling with the transition from startup to smooth, well-run operation. Companies at that stage need discipline, focus, and accountability from the CEO down. At the Old Pro in Palo Alto, Campbell cusses up a storm in his huddles with Silicon Valley titans, nursing a Bug Light and talking show. It was 2002, and Ben Horowitz was elated. The CEO and co-founder of Loudcloud, a much-hyped California web-hosting company that fell on hard times as the dot-com bubble burst, had dodged a bullet. Flirting with bankruptcy, the executives had done a last-ditch deal with Electronic Data Systems that would give the company cash—but would also require a total restructuring: Roughly a third of the company would be laid off, a third transferred to EDS, and a third kept on in a new company, Opsware, that would focus on selling software to help run corporate data centers. The coach was getting across one of his core beliefs: that engineering is the heart of any successful tech organization. “It’s where the crazy guys have stature, where engineers really are important,” Campbell told The McKinsey Quarterly last year. “There’s not a product idea that I’ll ever have that’s going to amount to anything. But what I’ll do is make sure that the right people are in the room and that the lunatic fringe has an opportunity to contribute.” In the case of Opsware, Horowitz says Campbell argued vehemently for keeping the software-development business going as rivals closed theirs down during the dot-com crunch—and as his investors pressured him to sell it. “The venture capitalists were all saying, ‘Get rid of your intellectual property,'” he says. “We couldn’t afford it, but he said, ‘If you don’t have IP, you don’t have anything. '” It was the software business that saved the company (Opsware was sold to Hewlett-Packard in 2007 for $1.6 billion). Thanks in part to Campbell’s influence on hiring at Google, being supersmart isn’t the only criterion for getting a top job there; you also have to play well with others. Campbell doesn’t necessarily say much—unless he disagrees with something. “He’s careful,” says Schmidt. “He’s not trying to overwhelm the management team. But you’d ask, ‘What do you think about this candidate?’ and he’d go, ‘Ehhhhh … no. There’s something wrong with his character. '” Schmidt says Campbell has helped build Google’s board (which shares two directors with Apple, Genentech’s Arthur Levinson and Schmidt). Campbell has also helped defuse internal political problems, as when Chris Sacca, Google’s former head of special initiatives, had a conflict with another executive. “It didn’t take 15 seconds before he said, ‘I’m not gonna lie to you; this guy is not a fan of yours,'” Sacca recalls. The two executives then proceeded to work through their differences. Had Campbell grown up a half-century earlier, he might have ended up an engineer himself. Homestead, Pa., his hometown, was the Silicon Valley of the late 19th century. The Homestead Steel Works was one of the world’s most efficient and innovative mills. But by the time Campbell came along, the industrial might was gone. Western Pennsylvania was pigskin country, where success was measured in sports. Campbell’s dad, William Sr., worked nights in the mill and days as a high school teacher and basketball coach, eventually working his way up to superintendent of the school district. In high school, Campbell played guard and linebacker on the football team, so when it was time to choose a college, he went for Columbia, where his dad knew the coach and where Bill could make the team even though he’d stopped growing at 5-foot-10 1/2. On the Columbia University Lions, Campbell, second from left, was captain of the 1961 squad that tied Harvard for the league championship, a huge upset. His nickname was "Ballsy." Despite Campbell’s size (he padded his official weight by 15 pounds, bringing it to 180), he brought a burst of energy that teammates remember even today. “There was this core—this nuclear reactor—at the center of the team, and that was Billy,” says actor Brian Dennehy, who played on the same squad. “He always saw himself as a winner.” He was also able to make other people winners—a rarity in Columbia’s beleaguered football history. In 1961 the team, captained by Campbell, battled its way to a tie with Harvard for the Ivy League championship. Like the dad he looked up to, Campbell seemed destined for a career in teaching and coaching. He got a master’s in education at Columbia, worked as an assistant football coach at Boston College, and then in 1974 landed the head coaching job at Columbia. “Ballsy,” as he was known in college for his gutsy play, was back. He motivated, inspired—and lost, a lot. By the time he quit after the 1979 season, his record was 12-41-1. It was, say friends, the most crushing defeat of his life, never mind the fact that Columbia doesn’t have the size, facilities, or obsession to compete with the big-name Ivy football programs. Campbell was even hospitalized for exhaustion—a concept that’s hard to imagine for anyone who’s watched him hold court at a bar until 2 A.M., then run an 8 A.M. meeting. His fatal flaw, he told friends: He wasn’t quite tough enough in asking his players to put football above all. Recently married, the 38-year-old Campbell needed a new start. A football buddy worked some connections to get him a job at the ad agency J. Walter Thompson, where he showed enough flair for sales and marketing on the Kodak account that the film company hired him away. Then John Sculley, who had just left Pepsi to be CEO of Apple and whose brother-in-law was a Campbell buddy, persuaded him to take a job at Apple in 1983 after giving the recruit a look at a top-secret new product called the Macintosh. A classic Campbell moment from those Apple days was his role in getting the company’s famous “1984” ad on the air to introduce the Mac during Super Bowl XVIII. It was a lavish production directed by Ridley Scott, and there was concern within the company that it was too costly and too controversial, and that Apple should try to resell the expensive broadcast slot it had bought. E. Floyd Kvamme, then Apple’s EVP of sales and marketing, laughs as he recalls what happened when a sales executive told Campbell and Kvamme that she had found someone willing to buy the 60-second spot Apple wanted to unload. “We looked at each other,” says Kvamme, “and Bill says ‘Did she say anything? '” The two never told the board or other top executives that they had a potential buyer for the time slot, and the ad aired. It helped Apple establish its iconoclastic brand; Advertising Age later named it the greatest commercial ever made. 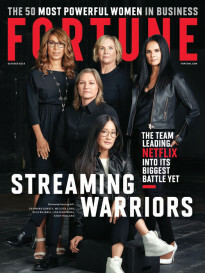 From there, Campbell took over Apple’s software unit Claris, building it to almost $100 million in revenues and mentoring the likes of Donna Dubinsky, future co-founder of Palm and Handspring, and Bruce Chizen, who would become CEO of Adobe Systems. Campbell learned a lot too: In addition to how to shut down a company, he became an expert at working with founders. It was that background that helped persuade Intuit founder Scott Cook to hire him as the company’s first outside CEO in 1994. And this time Coach put points on the board. In his four years as CEO the company managed a merger of equals, grew from $210 million in revenues to $562 million, survived an aborted takeover attempt by Microsoft (msft), and evolved into a company that today is a regular on Fortune’s list of Best Places to Work. When Campbell stepped down as CEO in 1998, Cook did something very brave for a founder, giving up his chairman’s slot so that Campbell would still have a formal role. “I wanted to keep him connected deeply to the company,” he says. And Campbell remains on call for the Gipper moment, says current CEO Brad Smith, recalling an inspirational speech Coach gave the engineers about three years ago, when Microsoft entered the small-business market and Intuit had to respond right away. “He talked about the good old days, when we had to ship in pizza and it didn’t feel like we were working around the clock, about times of war and times of peace.” Smith credits Coach for getting the engineers so pumped that they not only finished the new product on time but were able to add eight extra features. For Schmidt and others, having a foulmouthed angel on their shoulder—one who isn’t on the payroll, with no overt political agenda—is a dream come true. “He loves people, and he loves growing people,” says Jobs. “He went from being one of the prize stalks of corn on the farm to being the farmer.” At Apple, Campbell is not just a board member; he’s also Jobs’ friend, and the two take regular Sunday walks around the streets near their homes in Palo Alto, where Jobs says they discuss “the things that have got me concerned and things I haven’t yet figured out.” Of particular interest to Jobs is Campbell’s marketing background, as well as his magical impact on the troops. “He has learned to get A and B work out of people,” says Jobs. “And Apple doesn’t make four billion semiconductors. Apple is only its ideas—which is only its people.” One executive who knows both men well says that Jobs trusts Campbell completely. “Bill is nonthreatening,” he says. No one can complain about the cost of Campbell’s advice. He typically tries to refuse payment for his efforts, saying he doesn’t want to be perceived as a mercenary. At Opsware, Campbell wouldn’t take a dime until Andreessen threatened to donate the money to the Republican Party. (Campbell is a Democrat.) He finally accepted stock options—on the condition that they go to his family foundation. In any case, Campbell has done just fine: He is worth at least $200 million, an estimate based in part on his Apple and Intuit stockholdings. Schmidt won’t discuss Campbell’s compensation at Google, but he does have a coveted parking space. Instead of wielding power from his office, Campbell often prefers to dispense wisdom in a rowdier setting. Shader of Jasper Wireless likes to joke that Campbell has perfected the art of “management by insult,” but management by Bud Light may be just as appropriate. Campbell’s friends end up pounding the pints while he listens and learns. “He gets more miles to that one light beer than you can imagine,” says Cook. Tonight it’s New York City’s Old Town bar (he seems to like his ventures new and his hangouts old), a 116-year-old pub he’s been patronizing for years, where he stops off for a pop with some old football buddies. On his arrival, the bartender breaks into a wide grin. Hugs, shouts, and expletives follow. The “perpetual energy” described by Silicon Valley stalwart Regis McKenna is on full display tonight, undaunted after two hip replacements and years of constant shuttling between the coasts. Campbell’s day began yesterday, in fact: After taking some pals to a San Francisco Giants ballgame, he flew straight to New York for a Columbia board of trustees meeting. Then he keynoted a dinner event for the university’s basketball team before the stop at Old Town. After four hours’ sleep, he’ll fly back to the West Coast for a Google board meeting, then zip back to New York the following day for a meeting of the Columbia University Senate. University President Lee Bollinger invited Campbell to join Columbia’s board in 2003—and two years later the board chose him as chairman, to succeed David Stern, head of the NBA. Coach is focused on athletics, naturally, but also on Columbia’s ambitious expansion efforts—and he’s also managed to get the likes of Robert Kraft, the New England Patriots owner and another Columbia football teammate, to increase his involvement. “You have a hard time saying no to him,” Kraft says. Campbell hasn’t given up on football, either: During nine of the past 15 years, since his son, Jim, was in junior high (Jim just finished a master’s at Columbia; daughter Megan will be a senior in high school), he has spent an hour and a half each fall weekday and every Saturday coaching the eighth-graders at St. Joseph’s School of the Sacred Heart in Atherton, Calif. His earlier failure to be tough enough is a mistake he seems determined not to repeat. “He’s very demanding,” says school athletic director Jeff Reynolds. “He’ll get right in the face of kids if they’re doing something he doesn’t like. And kids respond.” Campbell has won six championships. Campbell moves around so much that you get the sense he is afraid to stop. There are always more hugs to dole out, more insults to hurl, more advice to give. The sense of urgency may have increased after the death of his brother from brain cancer two years ago and the catastrophic illness of his best friend and fellow investor in the Old Pro, Mike Homer, a former top executive at Netscape and Opsware director, who has Creutzfeldt-Jakob disease. After Homer’s diagnosis, Campbell called for a blitz and, with angel investor Ron Conway, co-hosted a fundraiser for 300 that has raised $7 million for research. Weekly, often more, Campbell goes to visit Homer and his three young children. “How does someone create a rapport where that person comes away believing that Bill cares about him first and foremost?” wonders Randy Komisar, a partner at Kleiner Perkins who has worked with Campbell at several companies. “Bill’s impact in the end will be very hard to measure, but it is really important. It won’t be in the legacy of a GE; it won’t be in the more classic sense of putting points on the board. It will be in seeing the people he’s touched go off to do great things.” Effing great things, as Coach would say.